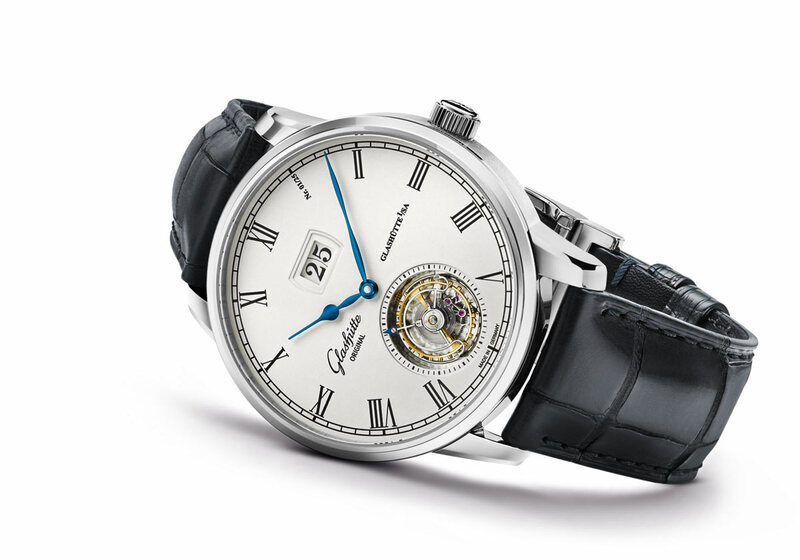 The prestige German brand Glashütte Original have released their new Senator Tourbillon to the waiting world. I’ve said it before and I’ll say it again, a luxury watch does NOT need to be Swiss Made, it’s just people can easily become unnecessarily fixated on it. 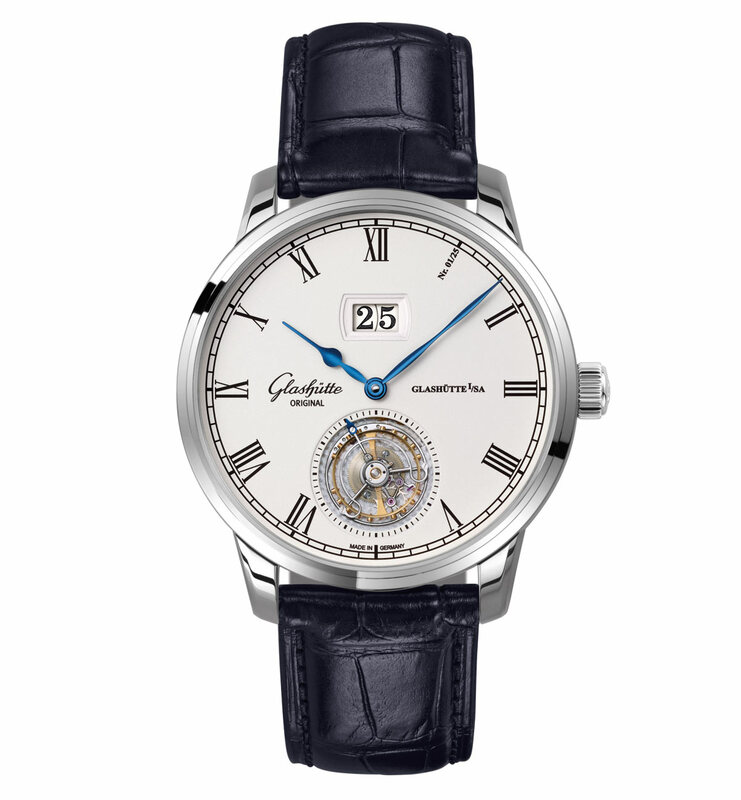 Glashütte Original came about with the privatization of the East German conglomerate VEB Glashütter Uhrenbetriebe formed in 1951, and Glashütte Original founded in 1994, making it a young yet trusted player. So now that’s out of the way let’s see what the big deal is? First off, for those of you who don’t know what the Tourbillon is (I’m not saying everyone should know), it’s essentially a device that makes accurate timekeeping possible while gravity affects the pendulum of a moving timepiece and precision pocket watches. That’s the Jack and Jane example but of course, things are never that easy are they? The Tourbillon is a clever bit of kit invented by the master watchmaker Abraham-Louis Breguet around 1795 to 1800, but it wasn’t until 1920 Alfred Helwig designed the improved flying Tourbillon. 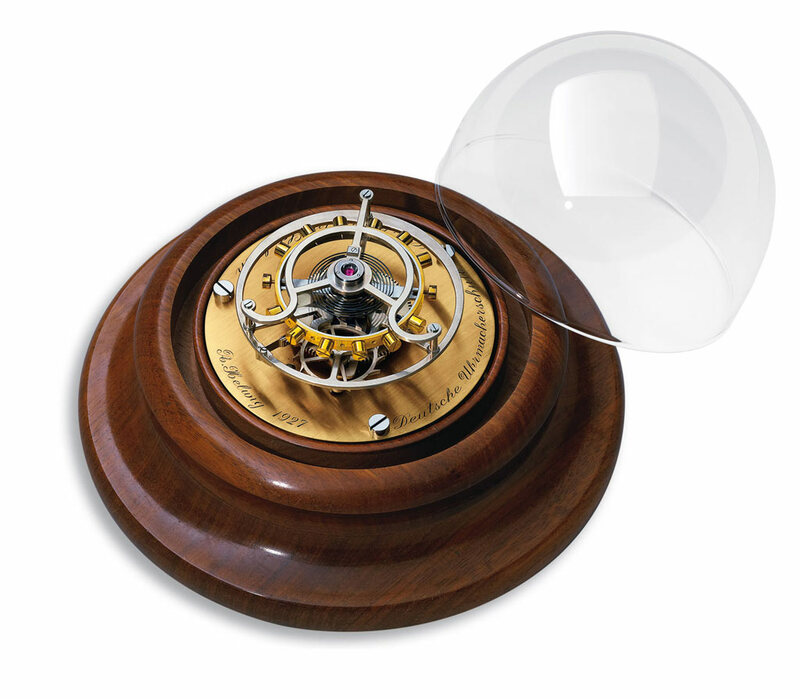 The original Tourbillon was held in place by a bridge or plate on both the top and bottom, but the flying Tourbillon is held only on one side. This meant the development of the flying Tourbillon presented a particular challenge of creating a revolving carriage with a perfect balance of its entire axis. Today as it was then, the Tourbillon is probably one of the most appreciated horological complications. Its complexity and ingenuity is plain to see as it’s seen compensating for the distortion of the center of gravity as the piece moves from its vertical position. 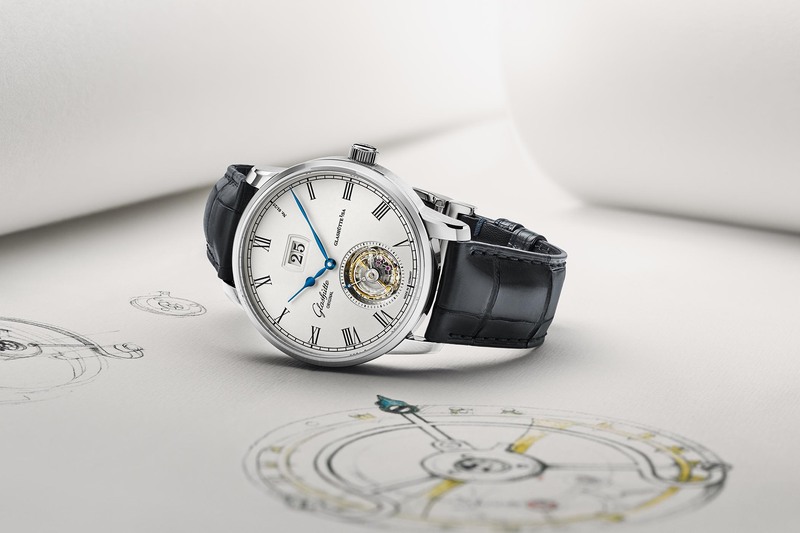 The newly released Senator Tourbillon is dedicated to the inventor of the flying Tourbillon, Alfred Helwig. Without being supported by a bridge on the dial and movement side the flying Tourbillon is cantilevered, meaning it’s only secured on one side to give an unobstructed view of the mechanism on the other side. It’s all about engineering and presentation, just look how the carriage is exposed at 6 o’clock for the world to see. Powered via the third wheel to the fourth mounted beneath the Tourbillon then secured to the assembly, the escape wheel pinion protrudes just below the Tourbillon to engage with the fourth wheel that’s mounted to the base plate. When the wearer moves, the rotation of wrist means a rotational movement of the tourbillon, resulting in the escape wheel pinion engaging the fourth wheel allowing the escape wheel to trigger an oscillation of the balance wheel. This piece limited to 25 units is constructed in white gold comes in a 42 mm case encasing the Calibre 94-03 automatic movement beating at a frequency of 3 Hz. 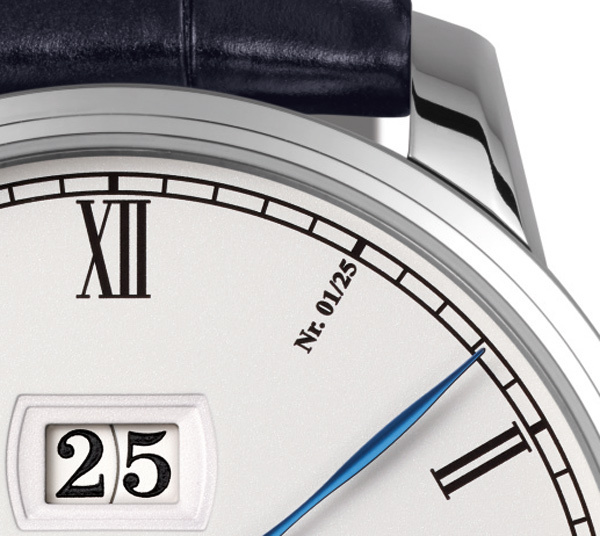 Topped with a silver-grained dial with textured surface and black laser engraved indexes, it has a power reserve of 48 hours and a water resistance to 5 bars. Finished off with black Louisiana alligator leather strap with white gold foldover clasp, this will set you back around Euro 100,000.